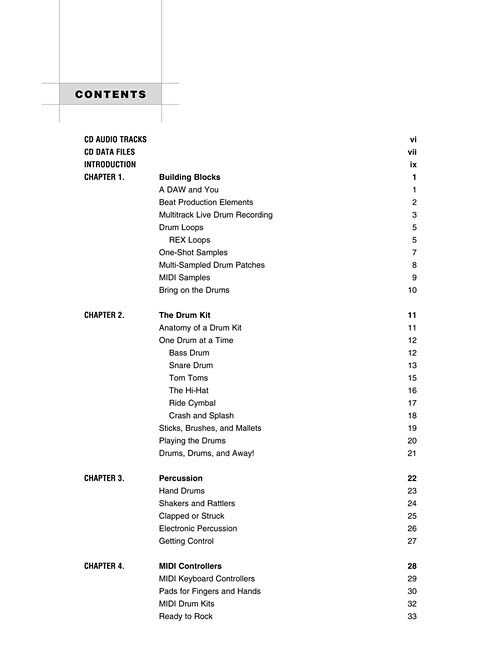 This program demystifies topics central to electronic music production and sound design, such as setting up your home recording studio, sampling, digital signal processing, synthesis, MIDI sequencing, mixing, and more. 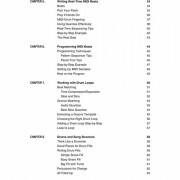 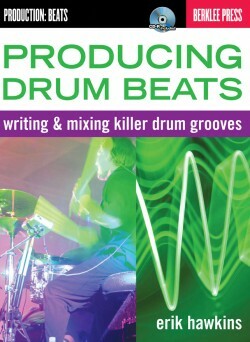 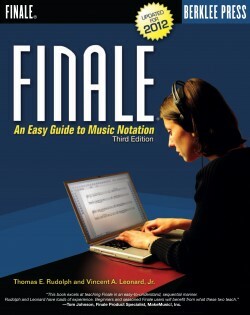 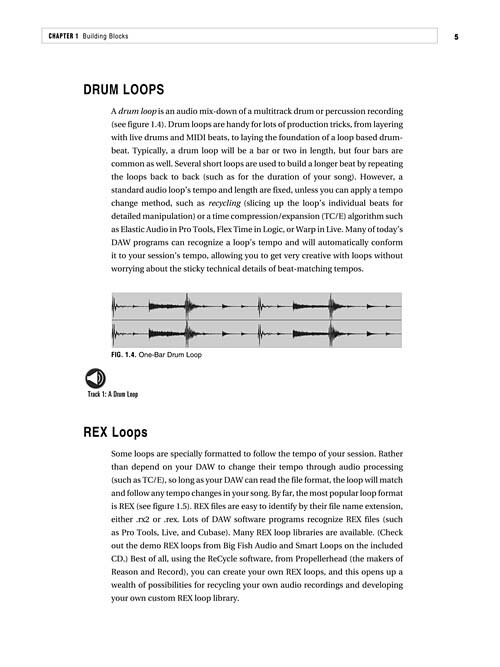 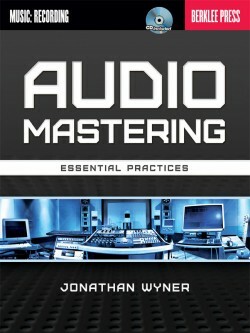 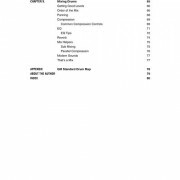 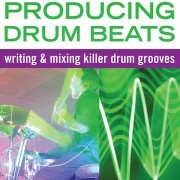 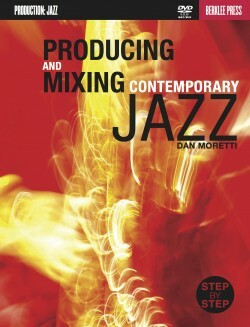 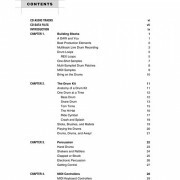 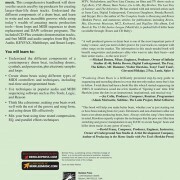 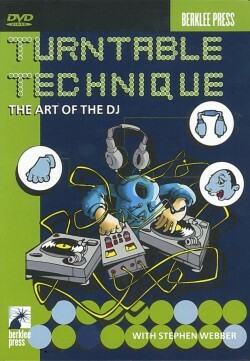 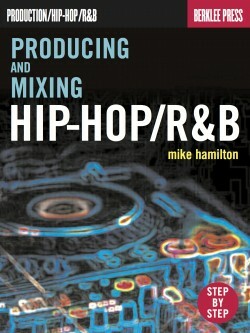 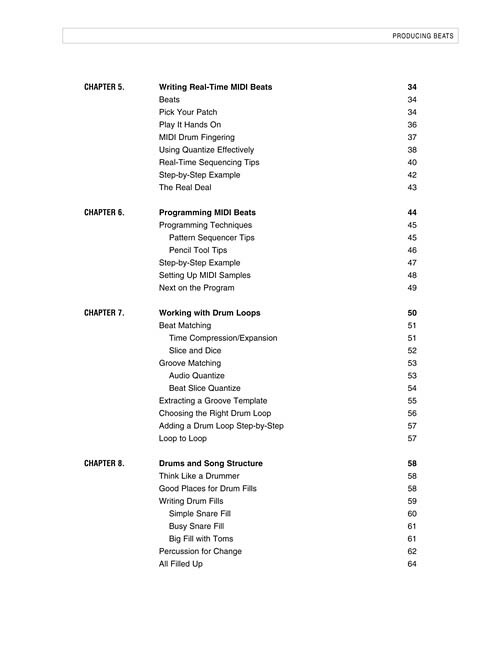 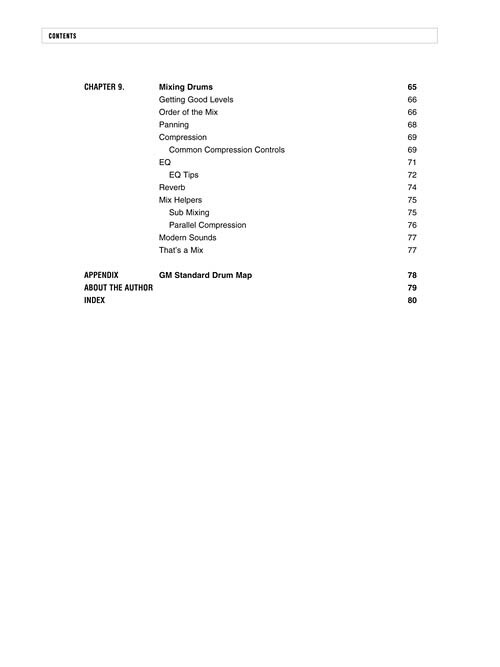 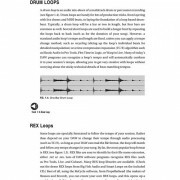 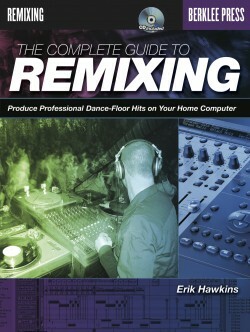 This comprehensive handbook will show you the secrets used by top producers for creating larger-than-life drum tracks. 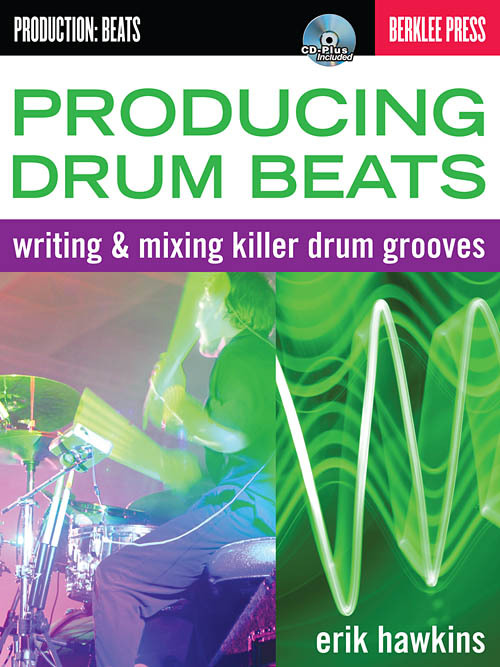 Understand the different components of a drumbeat, and learn to write and mix incredible grooves while using today’s wealth of amazing music production tools—from loops and MIDI to drum replacement and DAW software programs. 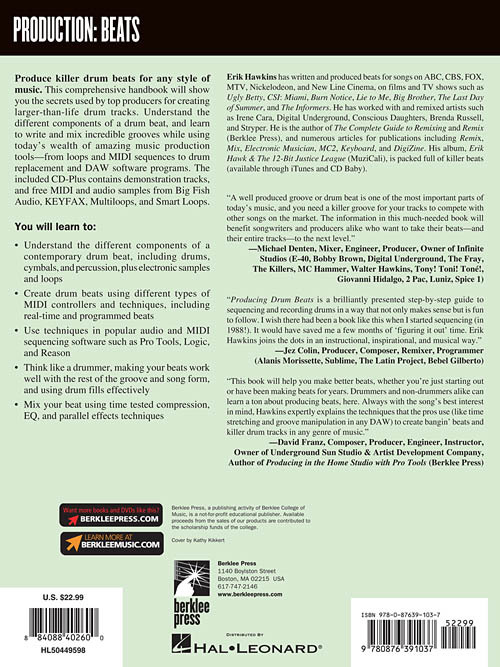 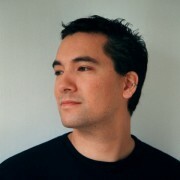 The included CD-Plus includes demonstration tracks, and free MIDI and audio samples from Big Fish Audio, KEYFAX, Multiloops, and Smart Loops. 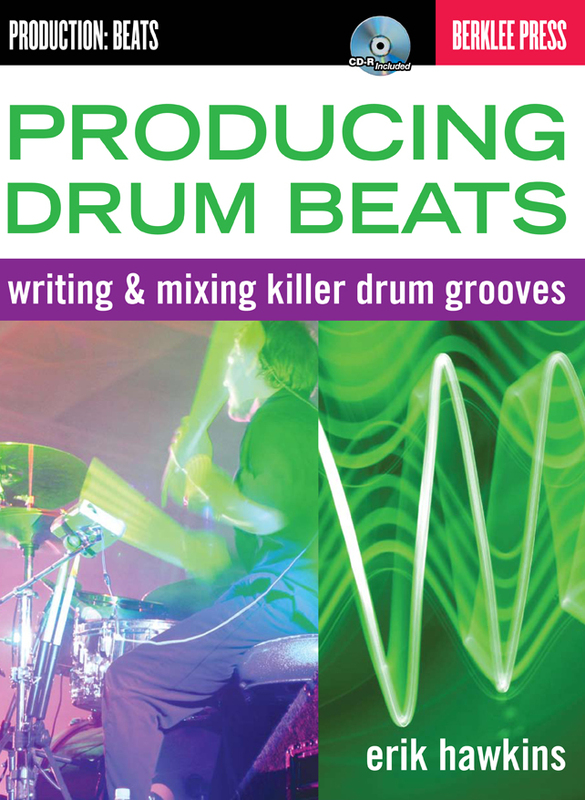 Think like a drummer, making your beats work well with the rest of the groove and song form, and using drum fills effectively.